Need a Ride to a medical or other appointment? Call the Norfolk County RSVP Office at 781-329-5728 to locate a volunteer driver near you. The office is open 8am-4pm weekdays excluding Holidays. We will attempt to find a driver for you within 24 hours. Rides are free, subject to volunteer availability. Passenger is responsible for tolls and required parking charges. All volunteer drivers have passed a CORI criminal history check. 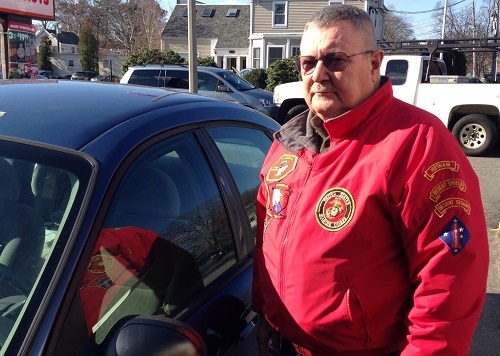 Can you spare the time to drive a fellow veteran? Please call us at 781-329-5728 and we can arrange to meet you in our office or at your local senior center. Volunteers receive supplemental auto liability insurance and mileage reimbursement for their service. To become a driver, you will need to complete an RSVP Registration form and CORI background check authorization, and send with a copy of your driver's license to Norfolk County RSVP, P.O. Box 310, Dedham MA 02027.